WM Capture 6.1 is the only screen capture software that allows you to screen capture video from windows that are minimized or hidden. Once you enable “Background Mode" and select the video window to record, your video will automatically minimize leaving your desktop free for you to use. The added bonus is that since there is no image on your screen while it is being recorded, your PC is using less processing power! Other screen capture programs cannot process video data fast enough to make acceptable videos. WM Capture’s special design uses the most advanced high-speed video processing technology, and the results are amazing. Even complex videos like full-motion sports play back perfectly. High Quality Video Samples! The videos below were captured from a popular TV show’s online episode player, and a Video-on-demand (VOD) subscription service as WMV (Windows Media Video) files. We think you’ll agree they look great. Just click them to play. BB TestAssistant – an easy to use program that allows you to create demonstrative videos, capturing your desktop, and then make a video that you’ve seen on the PC screen. 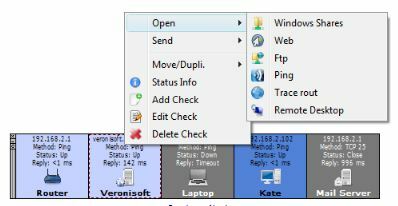 BB TestAssistant is a software for recording screen, aimed at those who test software, systems or websites. It records video, sound, keystrokes and mouse activity on the target computer. Also, after creating a video, you can repeat it, and then upload it to YouTube and share with friends or easily export it to other formats, such as Flash, AVI, EXE, WMV or PPT. Radical new technologies can make BB TestAssistant perfect recording video with minimal impact on PC performance. Developers see exactly what happened – an accurate and permanent record of events. BB TestAssistant uses Blueberry’s FlashBack capture technology – a radically different way of capturing the action than other screen recorder software. Brand new iSpring Suite combines professional products that enable you to quickly create highly engaging, interactive e-Learning courses based on PowerPoint. iSpring Suite is a combination of iSpring Pro, iSpring QuizMaker and iSpring Kinetics, all tightly integrated to work effectively within PowerPoint. iSpring Pro provides the opportunity to create PowerPoint-based courses with synchronized audio and video narrations, content protection and customizable players. 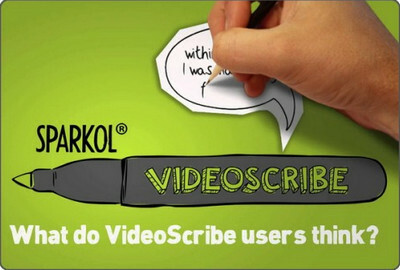 Adding graded quizzes and surveys to presentations is made possible by iSpring QuizMaker. The ‘Interaction’ button on the ribbon brings out iSpring Kinetics, a handy tool for creating attention-grabbing interactions. Focused on constant development, iSpring is committed to providing new ways to enhance e-Learning and make authoring easier. iSpring offers unique authoring features like presentation protection and synchronization of video narrations. Its unique AccuPoint™ technology gives you maximum power and flexibility of using PowerPoint, keeping its visual effects accurately in Flash format. Still be worrying about so many passwords to remember? Now we have Efficient Password Manager, a powerful and unique password management software program. She can not only help you remember general password information, but also record website login passwords, software registration codes, e-mail account passwords, or even passwords for your FTP accounts, etc. A random password generator is integrated which saves your time meditating for passwords. Actually, the passwords generated by this tool are usually safer. 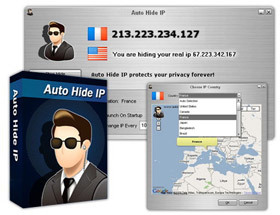 Your private information is fully protected – the main login password is encrypted by the irreversible SHA algorithm, while the password information itself is encrypted by 256-bit AES algorithm, the encryption strength of which is among the highest in the world. Our password keeper also offers many special features such as password anagement in hierarchical grouping, adding attachments to password entry, setting record importance, displaying record list in card view. The interface of the password software looks fashionable and cute. It has up to 8 interface styles of different tones of color for you to choose from! With Efficient Password Manager, you only need to remember one password! Why Choose Efficient Password Manager? Still be worrying about so many passwords to remember? Now we have Efficient Password Manager, a powerful and unique password management package. She can not only help you remember generic passwords, but also record website login passwords, software registration codes, e-mail account passwords, etc. A random password generator is integrated. With Efficient Password Manager Pro, you only need to remember one password! One Password = All Passwords! You only need to remember one password, so you have more energy to do other important things! She can not only help you remember generic passwords, but also record website login passwords, software registration codes, e-mail account passwords, etc. If you right-click a record, you can copy your account ID or password and visit the website directly. It is extremely convenient! 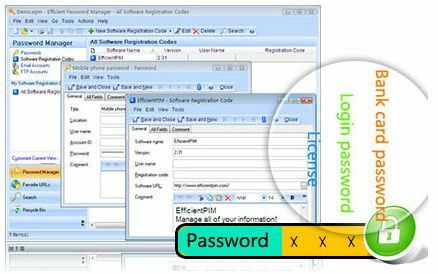 Efficient Password Manger has full-text search capabilities so you can quickly find your information. You only need to input any related information in the text box of Condition and press Enter. It will create random passwords based on your needs. It is harder to crack a randomly generated password. 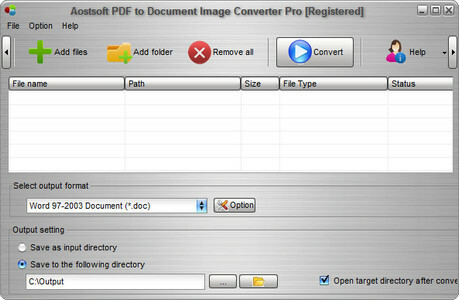 Aostsoft PDF to Document Image Converter Pro can batch convert PDF to nearly any document, Word, Excel, PowerPoint, Text, RTF, Image, JPEG, BMP, PNG, GIF, TIFF, PSD, HTML, SWF etc. 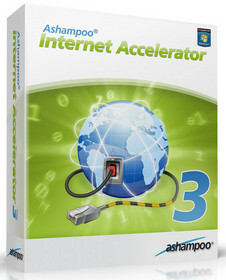 The conversion speed is extremely fast and the quality is very good. Aostsoft PDF to Document Image Converter Pro is able to accurately convert PDF files at high rate with preserving the original format, layout, text, pictures, graphics etc. of your PDF files. It is a standalone program which does not need Adobe Acrobat or other third-party controls support. Supports converting PDF to PowerPoint,Word, Excel, Html, Image with preserve the original content, layout etc.